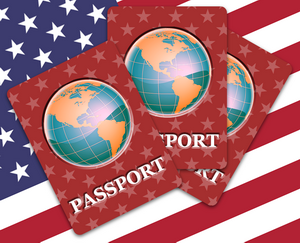 On this page you can download the US passport application e-book. It will be useful for both adults and children who want to apply for a first-time passport or renew their passports. We offer an all-in one service – you do not have to waste time browsing the web and finding the correct application forms. How do I get my US passport application? After you complete the payment, you see a link to download the US passport application e-book. Please contact us if you have trouble downloading the pack. The pack contains all relevant passport application forms which you can also get from the government for free. You do not have to use Passports and Visa services and pay for our e-book. You can get your US passport application forms for free at state.gov.